Version Control Systems are used for manage files and directories, and the changes made to them, over time. This allows you to recover older versions of your data or examine the history of how your data changed. This is a simple guide for how to configure a SVN server and SVN clients. Download VisualSVN Server and Install it in your server machine. After complete the installation create new users and repositories as your project by right click on them. Remember to tick on Create default structure (trunk, branches, tags) when creating a new Repository. Now your SVN server is ready to be used with SVN clients for your project. Download TortoiseSVN and install it in all client machines which are going to use for subversion. After installation, project has to be imported first to the SVN server (Log into server using created users). 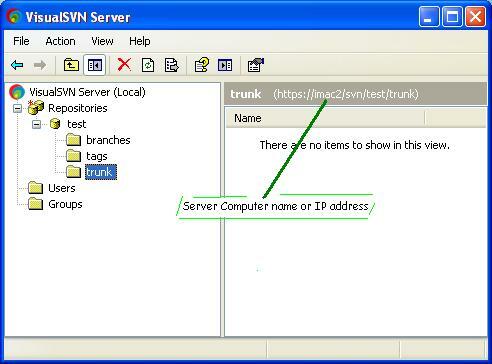 In the server projects are normally saved in trunk folder. Right click on the project folder again and click on SVN Checkout… Set your Checkout directory as project folder name and click OK button. Then warning message will be displayed and click Yes. Now your project is ready for SVN and click on SVN Commit… by right click on the project folder. You can commit project anytime when changes are happened to the project and any previos versions can be exported by the Server as your need.